Traditionally, orthopedic out-patient surgery was reserved for only the true “closed” procedures, like scopes. Usually, these are soft tissue procedures through a scope, such as rotator cuff repair, meniscus repair/removal, or even an ACL repair/replacement. And sometimes, the surgeon will even perform bone shaving work through the cannula, such as a sub-acromial decompression. That’s it. Let’s look at the hip, specifically. Total hip replacement surgery has always been considered an “in-patient” surgery. Each year, over 250,000 Americans receive a primary hip replacement. The typical hospital stay is 3 to 4 days with generous pain medicine. 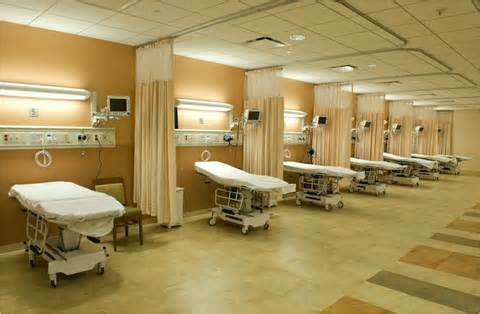 The facility often discharges the patient to a rehab hospital instead of his home. Then, the hospital gives the customary limited weight bearing and bending, sitting and turning restrictions for 6 weeks to 12 weeks, to avoid dislocations and allow the bone to consolidate the implant. 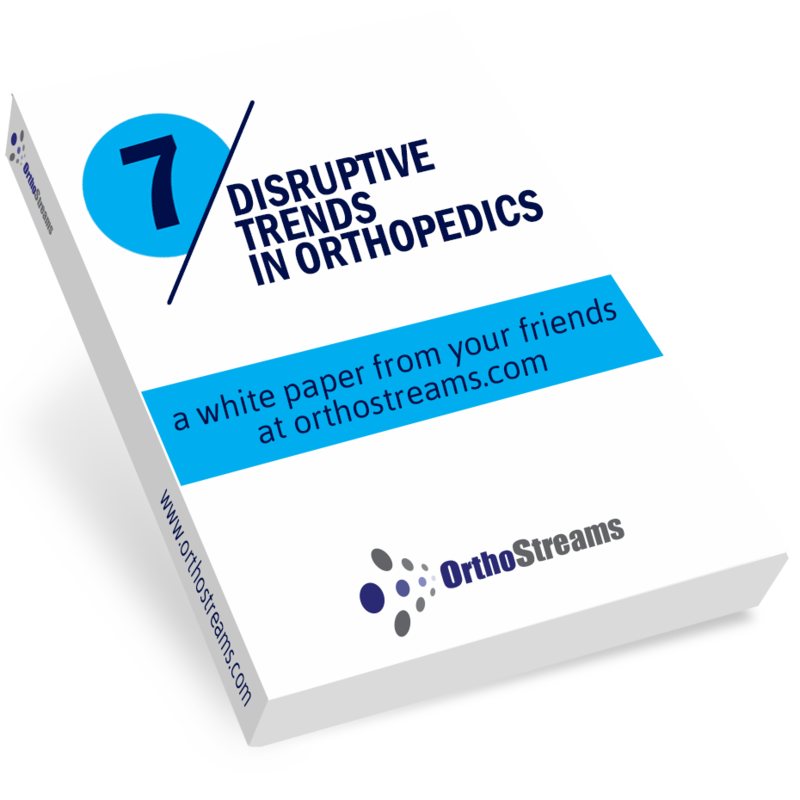 But, the orthopedics industry bombards us with the terms “MIS,” “mini-open” and “less-invasive.” Manufacturers provide less invasive instrumentation each year and residency programs now offer full programs in MIS surgery. So, why can’t bigger orthopedic MIS surgeries, through smaller incisions, be performed in an out-patient setting? They can. The 23-hour hip is here. Surgery centers across the US are leading this trend. These early adopters push the boundaries and, surprisingly, are discovering unexpected positive outcomes. Patients are also having terrific results. What does it take for a Surgery Center to do a 23-hour out-patient total joint stay versus a typical 3-4 in-patient day stay? Remember, these total joint patients are not “sick.” They just suffer from OA disease in the hip. Out-patient surgery uses the same technology, but different patient management. Just like an “in-patient” procedure, an “out-patient” surgery uses the same MIS surgical technique, the same MIS instruments, the same implant and the same basic OR suite and imaging tools. The differences include a more careful patient selection (typically younger and healthier), some extra training for the ASC / Surgery Center team, and a different anesthesia protocol for rapid recovery. Patients are enrolled in the clinical pathway program (including preoperative, intraoperative and postoperative care) with a cross-functional team—a surgical team with anesthesia, nursing, physical therapy, occupational therapy, and discharge planners. Patients attend a class taught by a nurse to walk them through expectations and potential complications. Then, they attend an additional physical therapy session. They are instructed in gait training with crutches to anticipate the next day’s weight bearing as tolerated. Patients donate two units of blood. On the morning of one surgery, 40 mg of Bextra—or 400 mg of Celebrex—and 10 mg of OxyContin were administered orally. The team usually uses an epidural anesthetic without narcotic additives, unless it technically cannot be inserted. Placing the epidural catheter failed in three cases, whereupon they administered general anesthesia. They avoided using both intravenous and epidural narcotics. They titrated Diprivan, a short-acting sedative, during the procedure. The patient received four mg of Zofran and 10 mg of Reglan intravenously during the case, to decrease nausea. Patients also stayed well-hydrated, to prevent postoperative hypotension and subsequent nausea. The team inserted a Foley catheter in all cases; we used a Foley in all patients to help monitor fluid status and eliminate urinary retention concerns. We administered Prophylactic intravenous antibiotics prior to the skin incision. One hundred forty-five of the 150 patients had an epidural anesthetic; three had general anesthesia (due to an inability to successfully enter the epidural space) and two had epidural anesthesia with a short period of general anesthesia to relax the muscles and facilitate final hip reduction. Intraoperatively, we titrated the epidural infusion and Propofol to achieve the minimum analgesia necessary for the procedure. We administered the adjunctive use of general anesthesia if the regional block did not provide adequate analgesia, or if the regional technique did not reduce the hip, or relax the patient, to perform the arthroplasty. The team used a cementless total hip in all cases. All 150 patients underwent a cementless, hemispherical, porous-coated acetabular reconstruction. This hemispheric component has a commercially pure titanium shell covered with a commercially pure titanium fiber-metal mesh with multiple holes to fixate the supplemental screws. We inserted the acetabular component with a 2-mm press-fit by implanting a component 2 mm larger than the last reamer we used to prepare the acetabulum. All cases used two supplemental screws. An UHMWPE cross-linked insert fastened into the shell. The inner diameter was 32 mm in all cases. All surgeries used a 32-mm head and all 150 patients had a full porous-coated stem. In cases with a modular head, we used one of five neck lengths. The team inserted these components using a minimally invasive technique that minimized prosthetic insertion damage to muscle and tendons. The patients had one of their own units of autologous blood transfused intraoperatively at the end of surgery, regardless of the surgical blood loss. The mean surgical time was 99 minutes (range, 66– 141 minutes). The mean estimated blood loss was 266 cc (range, 100–1000 cc). In the recovery room, we administered a second dose of Zofran and transfused the patient’s second unit of autologous blood. The patient was kept well-hydrated to prevent postoperative hypotension and nausea. The epidural (fentanyl 10 μg/mL + 0.1% bupivacaine) continued in the recovery room at 6 cc, 1 cc every 15 minutes with a 40 cc for 4-hour lock out. Two hours after surgery, the Foley catheter was discontinued and 20 mg of OxyContin (10 mg of OxyContin for patients over 70 years of age or under 120 pounds) was given orally. Patients were allowed to take Norco 10/325 mg for breakthrough pain if needed. The epidural catheter was removed 4 hours postoperatively. The intravenous line was subsequently discontinued, but we maintained the intravenous catheter with a heparin lock prior to physical therapy. The patient underwent occupational and physical therapy 5 to 6 hours postoperatively. The patients were allowed weight bearing as tolerated and encouraged to rapidly advance to a cane or ambulate unassisted. We administered one additional dose of intravenous antibiotics following physical therapy. No additional antibiotics were given before discharge, or while patients were at home. A clinical nurse was immediately available to address any problems, such as inadequate pain control, nausea, hypotension, dizziness, or over sedation. Breakthrough pain was first treated with hydrocodone 10/325 mg (5/325 for patients over 70 years of age or under 120 pounds); if this was insufficient, the patients could take IV morphine, up to 10 mg, and/or additional oral agents (Norco 10/325, OxyContin). Non-positional nausea was treated with 10 mg of Reglan and 4 mg of Zofran. Hypotension and positional dizziness were treated with an intravenous fluid bolus. Positional nausea, or orthostatically-induced nausea, was treated with an intravenous fluid bolus and 10 mg of Reglan. Oversedation was usually treated by allowing for the effects of the medication to subside. However, in severe cases, we utilized Narcan (naloxone hydrochloride). Patients were discharged when they met strict criteria. As a hospital requirement, all patients must complete a formal physical therapy protocol. This protocol requires that patients can independently transfer out of bed to a standing position and transfer into bed from a standing position. Additionally, they must independently rise from a chair to a standing position and sit from a standing position. Patients must also be able to walk 100 feet and ascend and descend a full flight of stairs. The patient must exhibit stable vital signs, tolerate a regular diet, and have adequate pain control from oral analgesics. Only after all of these criteria are met is the final criteria invoked: “Does the patient feel comfortable going home?” When ready, the hospital discharged all patients directly home from the hospital and not to another care facility. Following surgery, patients were moved to an overnight room where they received one-on-one nursing care. They could use recovery room nurses, but Dr. Caillouette prefers the added experience of intensive care nurses who may be better equipped to handle any possible complications. Patients received 1,000 mg of acetaminophen every 6 hours and were treated with instant release oxycodone for breakthrough pain. “We try to avoid any intravenous narcotics after surgery, and that has worked out well,” he said. Patients received the same prophylactic care as in a hospital—incentive spirometry, sequential compression devices, and deep vein thrombosis prophylaxis. Nurses monitored their vital signs (respiration, pulse oximetry, and electrocardiogram) through a system centrally located at the nursing desk, which allows the patients to rest comfortably with fewer interruptions. When the anesthesia wore off, the patients were encouraged to sit up, dangle the legs, and eat a light, high fiber diet. About 5 hours after surgery, the patients began to ambulate with the help of a walker. Prior to the surgeon discharging the patients 23 hours post-op, the patients had to get into and out of bed on their own and climb stairs. Upon discharge, patients continued taking Bextra 20 mg daily, or Celebrex 200 mg for at least 2 weeks, and gradually decreased their dose of OxyContin as needed; they took hydrocodone as needed for breakthrough pain. All patients received aspirin 325 mg twice a day through deep venous thrombosis prophylaxis for 3 weeks. Patients were encouraged to resume as many activities as they could tolerate. There were no hip precautions used throughout the recovery. These patients were allowed to drive when they had stopped all narcotic medications. The patients utilized home physical therapy until the patient could drive (typically within 1 week), at which time outpatient physical therapy began. They did not use visiting nursing care. Patients were evaluated clinically and radiographically in the office at 1 week, 2 weeks, 6 weeks, and 3 months postoperatively. The hospital assessed clinical outcomes using the Harris Hip Score, both preoperatively and at 6 weeks and 3 months postoperatively. A nurse clinician assessed the patient satisfaction at the 2-week office visit, by asking the question, “Would you be discharged home the same day and following the same clinical pathway again?” Continuous variables were compared using a paired student’s T-test with a significance level of 0.05. The goal is a less than 24 hour hip stay, but one surgery center in Pennsylvania is pushing the limits with a 3-hour hip stay. The AAOS study finds that one-day TJR has the same outcomes as admitted TJR. To learn more, here are 10 Surgery Centers that are performing outplacement joint replacements. What is your company doing to help Surgery Centers perform “out- patient” procedures?